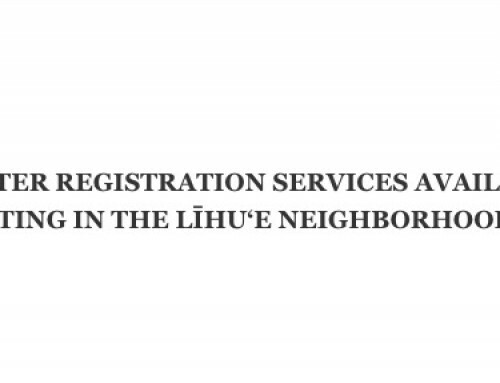 The Elections Division of the Office of the County Clerk assures the voting public that it is doing everything possible to assist the Kaua‘i Police Department and others investigating this incident. “This recent event is of great concern to our office. We wish to note that the procedures we have in place to process absentee mail ballots were able to alert both the voter and our office of the situation,” said County Clerk Ricky Watanabe. 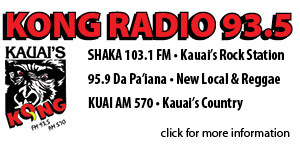 “Fortunately, this appears to be an isolated case but we ask that anyone with information on this incident to please contact the Kaua‘i Police Department,” added Watanabe. Absentee mail voting procedures are very stringent and require that the voter sign the Affirmation Statement on the back of the ballot return envelope. The voter’s signature is then verified against the corresponding voter’s signature contained on an official document on file in the Elections Division. The ballot will only be counted if the signatures on the return ballot envelope and document match. If the voter’s signature is missing from the Affirmation Statement or does not match the corresponding voter’s signature, the voter will be contacted to either inform the voter of the need to sign or to determine why the signatures do not match. If a voter does not sign the Affirmation Statement or does not respond to follow-up attempts before the close of polls at 6:00 p.m. on Election Day, the ballot will not be counted. In this particular situation, the voter’s ballot return envelope was received by the Elections Division but the Affirmation Statement was not signed. The voter was contacted and asked to sign but informed the Elections Division that the ballot was never received. “Voter fraud is a very serious offense that is a class C felony, punishable by up to five years imprisonment and up to a $10,000 fine, and we understand the public’s concerns centered on the on-going investigation,” said Watanabe. (4) Any person who wilfully makes a false answer to any question asked of the person while under oath in this title prescribed or authorized by law. Absentee mail ballot applications are processed the day they are received and the ballot is mailed the very next day so it generally takes about seven days for a voter to receive a ballot once the application is placed in the mail. Absentee mail ballot applicants who do not receive a ballot within seven days of mailing their application should call the Elections Division. For additional information or to check on the status of a ballot or absentee ballot application, please call the Office of the County Clerk, Elections Division at (808) 241-4800.